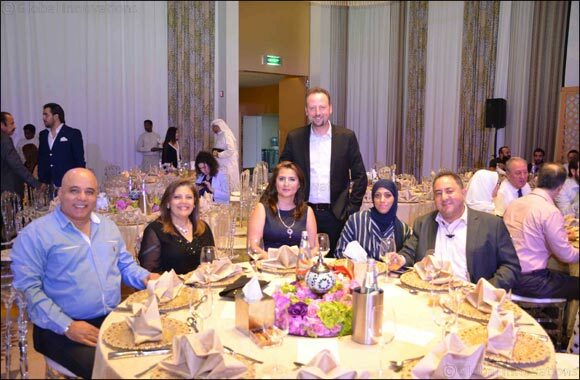 Kuwait, June 6, 2018: Symphony Style Hotel Kuwait, the Jewel of Kuwait City, celebrated the holy month of Ramadan with country ambassadors and embassy officials, major companies, key corporate partners and media representatives and advertising agencies in Kuwait on Monday June 4th, 2018. The evening continued with a speech from The Director of Sales & Marketing, Maged Hanna, who extended the welcome and appreciation to attendees and sponsors of this event and invited everyone to join the engaging activities and entertainment programs, with the chance to win attractive prizes from airline tickets to accommodation and dining in Symphony Style Hotel Kuwait and across all other Radisson Collection & Radisson Blu hotels. The evening was held in the glamorous Ebreez Ballroom with its sophisticated and elegant design and d�cor, which offered a rich cultural yet contemporary experience and was a fantastic opportunity to engage and network in a unique and elegant surrounding. It also presented a platform to showcase how Symphony Style Hotel Kuwait is the place to create memorable moments for any occasion. The evening was complemented by enlivening sounds of traditional live music and irresistible Ramadan Buffet of delicacies and traditional favorites.